Records tumble in Dublin as Ireland win claim a thrilling win over Bangladesh. Records fell during the third and final T20 International between Bangladesh Women and Ireland Women at Pembroke Cricket Club, Dublin. Both the highest individual score and the highest team total for Bangladesh were surpassed as the visitors made 151/4. That was not enough for them to claim victory as Ireland Women followed that up with their highest ever total batting second in a T20I to win by six wickets off the last ball. It was the woman that held the previous high score for Bangladesh, Fargana Hoque, who extended her own record with 66 not out from 47 balls. It was her innings that was the foundation of the new record total for the Bangladeshis, as they passed the 142/3 they made against India in Kuala Lumpur last month. 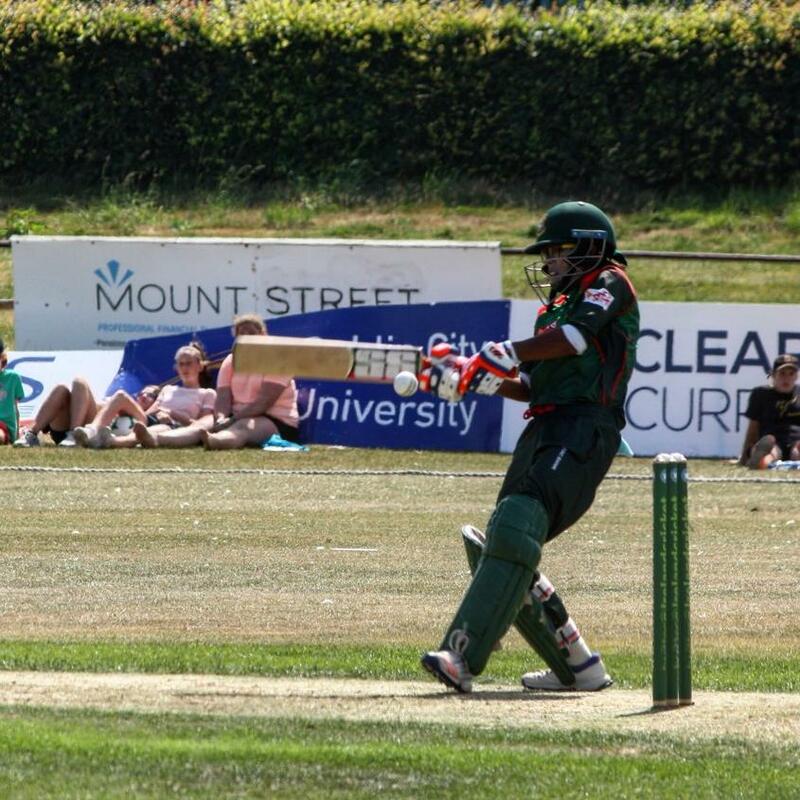 Bangladesh got off to a steady but unspectacular start with their openers, Shamima Sultana and Ayasha Rahman, scoring 47 runs from the first seven overs before Sultana was stumped by Mary Waldron for 30 (27) when she advanced down the pitch to the bowling of Ciara Metcalfe. It was the fall of Sultana’s wicket that brought Hoque to the crease and she was building a steady partnership with Rahman before an attempted second run saw a run out. Rahman (27) turned and came back for a run that wasn’t there and a throw in from the extra cover boundary from Laura Delany did the rest with. After the fall of the second wicket it was all about Hoque. She did the vast majority of the scoring with the next highest score in the innings after the top three being the nine made by Sanjida Islam. For Ireland to chase this down they would have to make their highest total batting second, and it was always going to be a tough ask, but they managed it by the thinnest of margins. They went for the slow and steady approach to the chase as they struggled to get the ball away in the PowerPlay. When they did go for a big shot it brought about a wicket with Claire Shillington caught on the mid-wicket boundary for 21 off 22 balls off the bowling of Panna Ghosh. 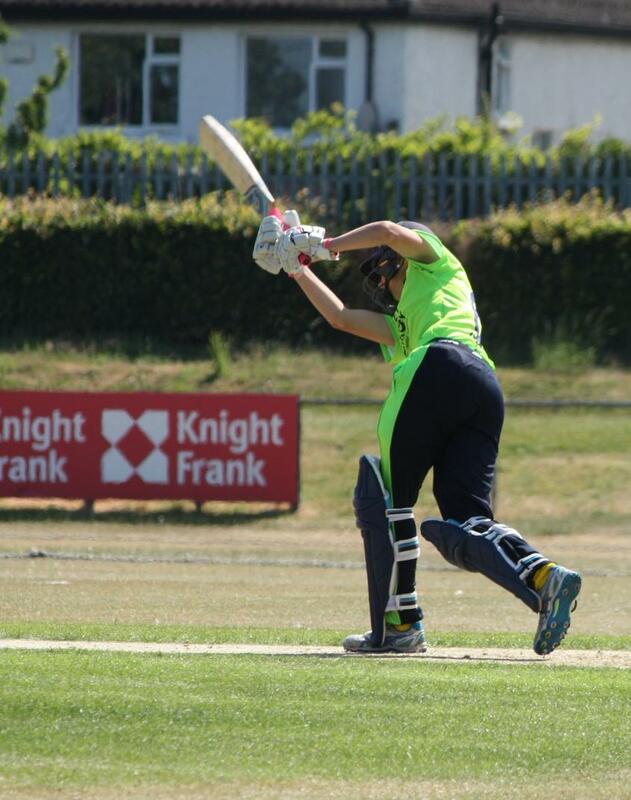 When two runs and seven balls later Cecelia Joyce was also caught on the leg side boundary, this time off the bowling of Nahida Akter, Ireland were 30/2 off seven overs. That left it to Gaby Lewis and Delany to rebuild the chase, and they struggled to get going at first as they maintained the safety first approach. By the halfway point of the Irish innings they were 51/2 with the required rate over 10 an over. After the 10thover there was a remarkable acceleration as Lewis and Delany took their partnership past fifty and kicked on from there. 17-year-old Lewis made her second T20I fifty, having made her first against New Zealand last month. Delany also made a career best in a partnership that was worth 93 from 57 balls. Ireland had got the required rate down to just over eight an over when Lewis was dismissed in unfortunate fashion. Delany hammered a ball from Akter down the pitch and the bowler got a fingertip to the ball before it crashed into the stumps to run out the big-hitting Lewis for 50 from 31 balls. Delany was joined by Isobel Joyce and the two got Ireland within touching distance, with 11 needed from the final. They managed three singles from the first three balls of the 20thover before a wide from Jahanara Alam saw them attempt a stolen run to get Delany back on strike. It was always risky, and Delany was run out for 46 (38). That seemed to be the end of things but six runs from the next two balls meant that the scores were tied with one delivery to come. A single by Isobel Joyce claimed the win for Ireland but they lose the series 2-1.